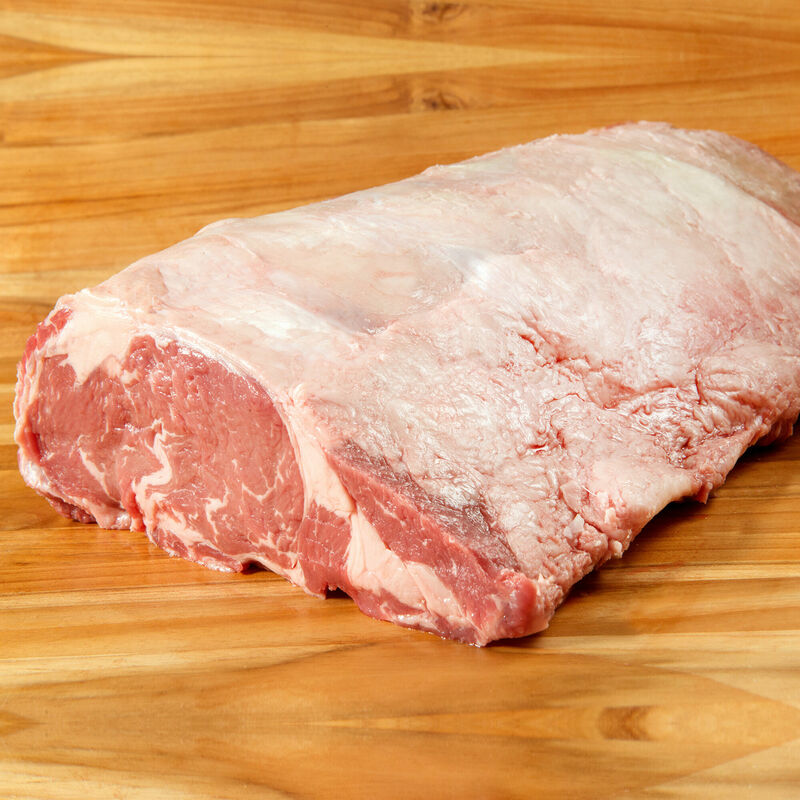 All-natural Angus beef whole ribeye, equivalent to Choice-Plus grade, from cattle that are pasture-raised on a 100% vegetarian diet, with no antibiotics, hormones or steroids. Our cooperative of ranchers is committed to strict protocols of humane animal husbandry, raising the cattle with care for high-quality beef with rich flavor. Our marbled and flavorful Angus beef comes from cattle raised exclusively for D’Artagnan by a cooperative of ranchers committed to strict protocols of humane animal husbandry. The Black Angus cattle range over pasture land for most of their lives, and then get a supplement of alfalfa hay, barley and corn for a few months in a spacious, dry, low-stress feeding facility, before processing at about 18-22 months of age. The vegetarian feed is supplemented with vitamin E and A which strengthen natural immunities. The ranchers take every care, even in transporting the cattle short distances. They know exactly where each animal comes from, and can track them from birth to processing. Each cattle comes with an affidavit to prove that the rancher followed the strict protocols of the cooperative.